Discover The Plan Review - Legit System, or Another Scam? 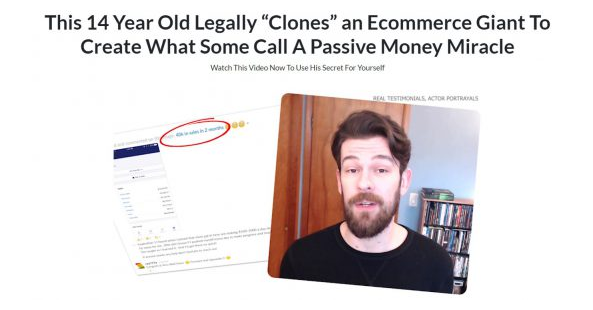 I recently received an email about this new system, claiming I could make thousands of dollars per day online using it. However, the whole website seemed kinda fishy to me, so I thought I'd take deeper look inside. If you're reading this Discover The Plan Review, then I'm assuming you've also recently stumbled across this website and probably have some questions. All will be answered in this review! 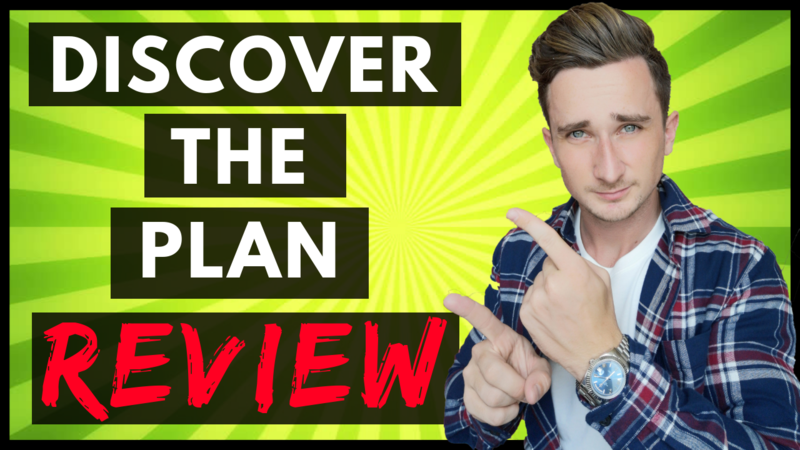 Discover The Plan Review – What Is It? If you watch Discover The Plan's sales video, they start off by telling us about how this 8 year old girl made $500,000 using the exact same method that's taught in their system. They promise us a “weird trick” that makes everyone who uses it A LOT of money. They claim it'll make us thousands of dollars per day, with little to no work required, because it's a done for you system. These claims sound absolutely ridiculous to me. Because I know for a fact that it's just not possible to make thousands of dollars per day with zero work. I've been doing this long enough now to know that. Any website with these types of claims are 100% feeding you lies and misleading information. So, I'm glad you're reading this review first. Aside from their crazy claims, there are also a few more red flags. 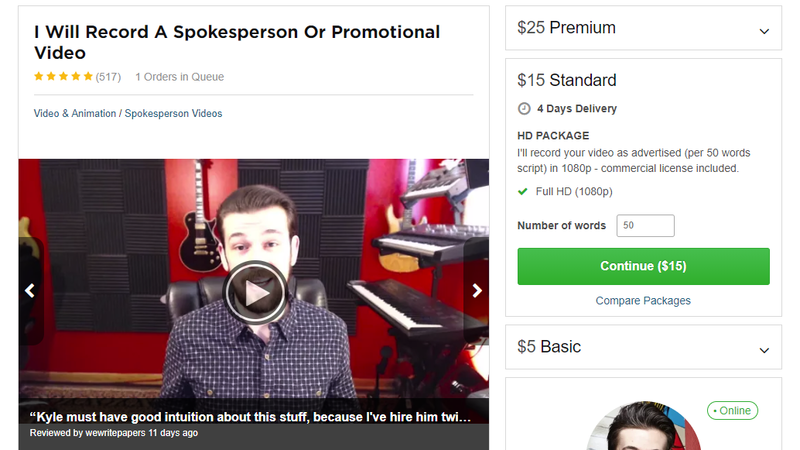 That guy is just a paid actor from Fiverr. If the system was really making a lot of people a load of money.. Why would they need to hire actors? And he's not the only one in the video. There's a few more actors in there, too. All of them can be found on Fiverr. So, so far, all we've seen on this website is lie after lie. What Really Is Discover The Plan? Everything about this website seems very strange to me, and the claims are just ridiculous. So, I thought I'd do some digging to find out the truth. What really is this system? What are they selling on the back end? Well, after just 5 minutes of digging, I found out the truth. Discover The Plan is just a sales funnel. It's a sales funnel selling an entirely different product on the back end. Discover The Plan is basically nothing at all. It's not a system in itself at all. They're actually just an affiliate for My Ecom Club, trying to get you to buy into it through them, so they earn a commission. Now, My Ecom Club is a fully legit business. The clue is in their title on what business they're in. It's an E-commerce training platform. They provide training and support on how to run your own dropshipping business. Like I said, it is 100% legit. However, it is fairly pricey. You'll be paying $97 per month for access to the members area, and that won't get you any training at all. To get just the first part of the training, it's going to cost you around $2,000. Also, if you search up some reviews about My Ecom Club, there's not much good being said about it. A lot of people are saying the the founder is only in the business of making money, he's not there to help anyone. The Verdict – Do I Recommend Discover The Plan? Like I said earlier.. It's not a scam. Because they are selling a legit system. However, I don't like the fact that they're SO misleading and feed us so many lies. I would completely avoid this website and My Ecom Club in general. There are FAR better training platforms that will teach you how to make money online. Thanks for reading my Discover The Plan Review. Funnel X ROI Review – Scam or Legit?